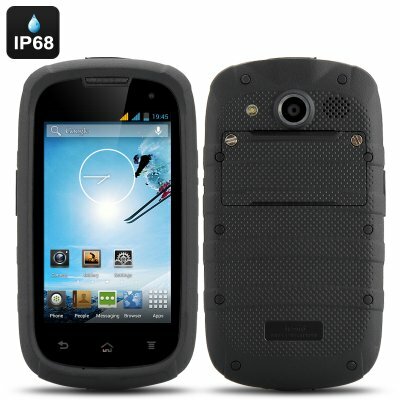 Successfully Added 4 Inch Android 4.2 Rugged Phone - Dual Core CPU, IP68 Waterproof + Dust Proof Rating to your Shopping Cart. In today’s ever tough world we need a phone that can last the test of time as well as being fully protected from the elements. This phone is built like 80’s cartoon hero Captain Planet, as its rugged rubber exterior provide it an IP68 waterproof and dust proof rating. 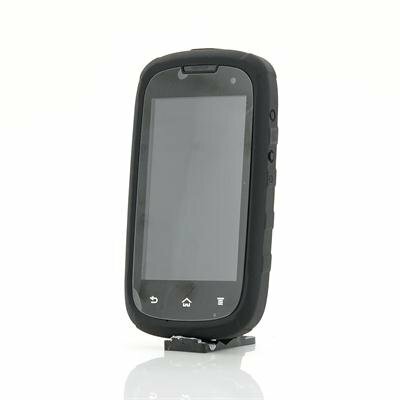 If you like to explore the great outdoors or work in harsh conditions such as at a construction site or quarry then this phone is the right choice for you. What’s more, this tough phone also has brains as it comes with an Android 4.2 Jelly Bean operating system, which allows you to create a suitable user environment that suits you. Plus with the ability to connect to Wi-Fi, this phone can be used to access the Google Play store to download games and other kinds of apps such as Facebook and Twitter. Hidden inside this rugged phone casing is an efficient dual core chipset making it operate in a smooth and responsive fashion. The 4 inch display that this phone offers is great for portability as well as boasting a 5 point multi-touch screen display. Capture the world around you as there is a front-facing camera and a built-in 5 megapixel rear camera. A quality made phone being offered at a great price, don’t lose out on your opportunity to get this rugged smartphone.